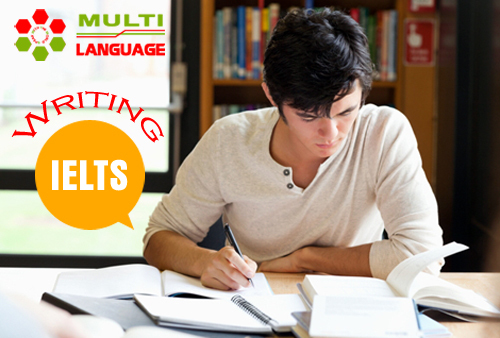 Task 2 IELTS Writing thường ra đề với kiểu bài như trên. Vậy cấu trúc bài viết sẽ như thế nào? Hãy cùng tìm hiểu qua ví dụ sau đây nhé ! Câu 2: Đề cập tới cả 2 chiều ý kiến và quan điểm cá nhân. People have different views about the funding of creative artists. While some people disagree with the idea of government support for artists, I believe that money for art projects should come from both governments and other sources. Đoạn 2: Ý kiến đầu tiên Some art projects definitely require help from the state. In the UK, there are many works of art in public spaces, such as streets or squares in city centres. In Liverpool, for example, there are several new statues and sculptures in the docks area of the city, which has been redeveloped recently. These artworks represent culture, heritage and history. They serve to educate people about the city, and act as landmarks or talking points for visitors and tourists. Governments and local councils should pay creative artists to produce this kind of art, because without their funding our cities would be much less interesting and attractive. Đoạn 3: Ý kiến thứ hai On the other hand, I can understand the arguments against government funding for art. The main reason for this view is that governments have more important concerns. For example, state budgets need to be spent on education, healthcare, infrastructure and security, among other areas. These public services are vital for a country to function properly, whereas the work of creative artists, even in public places, is a luxury. Another reason for this opinion is that artists do a job like any other professional, and they should therefore earn their own money by selling their work. Đoạn 4: Conclusion – tổng kết 2 ý kiến và thể hiện quan điểm cá nhân In conclusion, there are good reasons why artists should rely on alternative sources of financial support, but in my opinion government help is sometimes necessary.